The best way to attract a crowd to any meeting or event is with food-and with La Sure’s, you can be sure yours will be a hit. 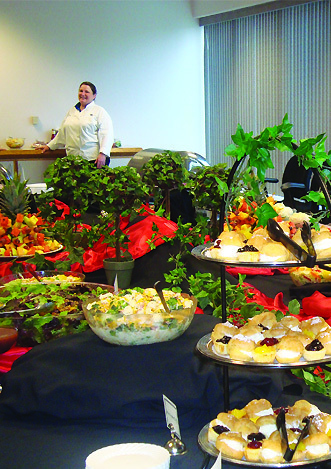 We cater at any time of the day or night—either at the Banquet Hall, or wherever you need us. We can do early morning continental or buffet breakfasts for any size group. Of course, we serve dozens of lunch and dinner meetings and banquets every year. Maybe you need a special time, such as late night for a second or third shift staff—we can do that too. Whatever the occasion, La Sure’s can make it memorable.